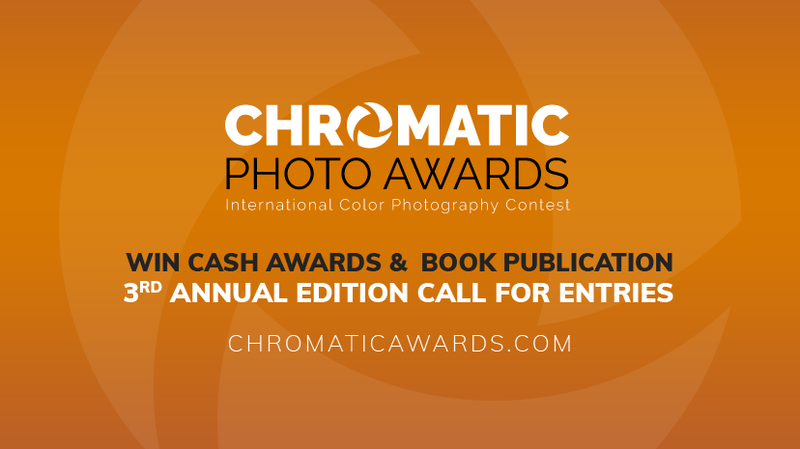 Chromatic Awards is an international competition of color photography open to both professionals and amateurs. Participation in the Chromatic Awards offers not only prestige, but also the opportunity to win extra money for the development of passion. As such, every professional and amateur photographer from every corner of the world is invited and urged to participate in the very first edition of this international prestigious photographic competition dedicated to color photography where 20 categories will be adjudicated by an international jury composed of magazine editors, gallery curators, professional agents and other industry professionals. In Chromatic Awards 2019 you can add your photos to 20 different categories divided for Professional and Amateur sections. 2019 Grand Prize is $2.000 for Professional Winner and $1.000 For Amateur Winner. Equipped with 20 intricate categories in color photography, the annual Chromatic Awards 2019 will also give away 3 main awards for each category. In the same vein, all category winners and Honorable Mentions will receive downloadable badges and certificates of achievement. This year’s 1st, 2nd and 3rd place winners along with the selected Honorable Mentions handpicked by book editors from both the Professional and Amateur levels will likewise be published in our Chromatic Awards Annual Book. Chromatic Color Photography Awards competition is open to professional and amateur photographers, using all forms of color photography, from any country. By registering and entering the Chromatic Photography Awards you hereby accept the rules and conditions outlined below. For awarded images, copyright holders grant the Chromatic Awards unlimited non-exclusive use of high-resolution images for activities in all media, including social media, online and print, in relation to the contest and all promotional activities without any remuneration being due.